Les vacances! Les vacances! Les vacances” That was the chant that was heard this afternoon as the kids counted down their last few minutes at school. It ended with an epic water battle and the boys were able to close out their school year with a lot of fun. Then, they got haircuts. And now that we are all finished with school in France and looking good. We are ready for a change of pace and scenery. Tomorrow, we will take a train to Paris to meet up with our family and do some sightseeing in Europe before we move to Africa! We have our visas for entry into Cameroon! We have an apartment waiting for us in Yaoundé. We all passed our exams! We have made wonderful friends in France. We have learned many things, including lots of French language and cultural adaptation. We have had better health than ever during our time in France. We are able to have a break and spend time with our families before our big move! Wrapping up our life in France well – saying goodbye (again), packing, taking care of many details for our departure. 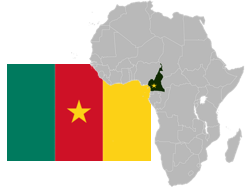 Settling in to Yaoundé, Cameroon: We arrive July 25 to begin working in support of Bible translation; the kids will start school again on August 10. Please pray for health, patience & peace throughout the transition, for good local friends for each of us, and for all of our luggage to arrive with us. We will try to send an update upon our arrival in Cameroon, but it may take a few days before we can do that. At any rate, we’ll be in touch from Africa in just a few weeks!